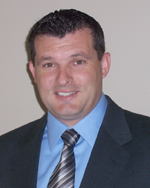 Victor Cale is currently a Consultant with over 10 years of experience in the mortgage industry. Victor has excelled in his field by quickly establishing himself as a top producer. Paying special attention to his clients and their needs, Victor strives to offer unparalleled levels of client service and has a strong belief in the "Client for Life" principal of doing business. As a testament to his sincerity in his business practice, the majority of Victor's clients are referrals from other satisfied clients. As a mortgage planner his goal is to create mortgage solutions that improve the lives of his clients through a comprehensive financial strategy.Victor specializes in helping clients find ways to build wealth through equity management and guide clients in strategically managing their mortgage debt to achieve financial freedom.